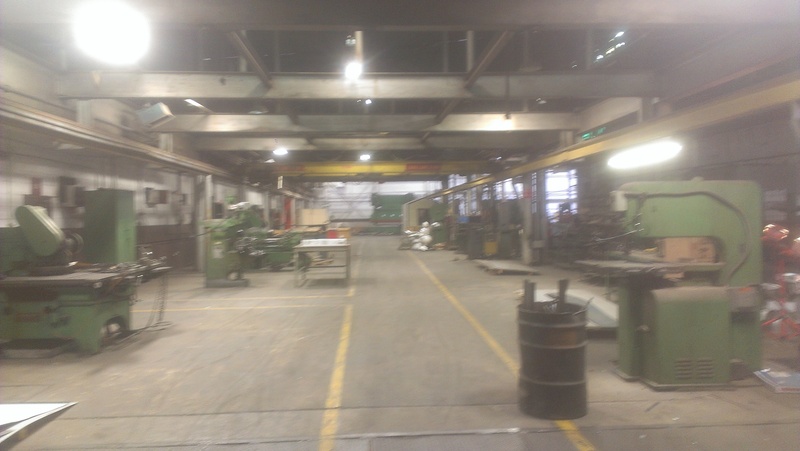 Most lighting retrofits that take place in industrial facilities are intended to improve light levels as well as reduce energy consumption and costs. Over the years, metal halide, high pressure sodium and other older technology tends to depreciate to the point where it is not generating enough lumens to adequately light the workspace. However, in some cases, there may be areas that are actually over-lit, producing glare and causing eye strain, not to mention wasting energy. 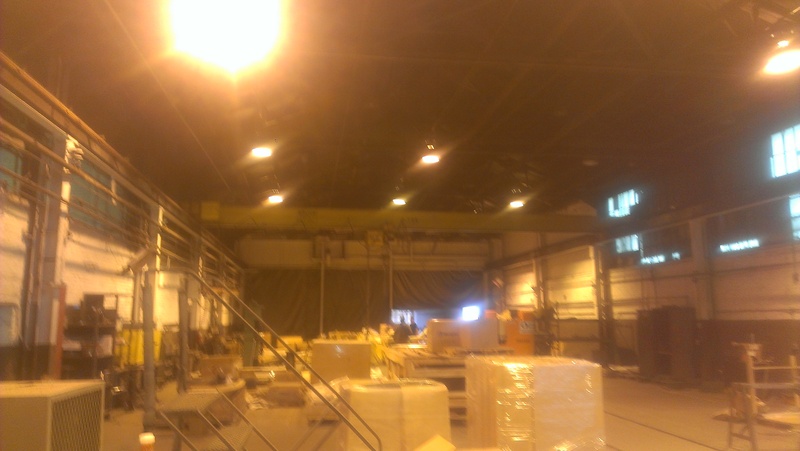 The Delaware Car Co., a “body shop” for railroad equipment housed in a large brick building near the Wilmington, Del, Amtrak station, contracted GreenTech Energy Services to perform a lighting retrofit project. Goals included energy savings, lowering material and labor costs associated with maintaining existing lighting systems, and avoiding equipment obsolescence with state-of-the-art lighting technology. The owner also wanted to make the lighting more uniform throughout the facility – some areas were cast in shadows while others were overlit. 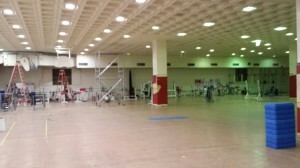 Approximately 170 400-watt high pressure sodium and metal halide high bay fixtures were replaced with brand new 2×4 fixtures with four T5 fluorescent lamps and reflectors. 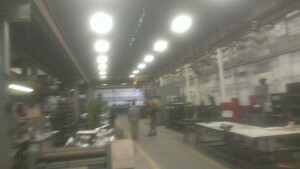 In areas of the fabrication shop where the lighting was unnecessarily bright, fixtures were removed. As a result, annual energy consumption has been reduced from 282,809kWh to 154,728kWh, translating to $15,370 in energy savings a year, plus $1,981 in operations savings. The project reduced carbon dioxide emissions by 192,121 pounds annually. And there is now uniform lighting throughout the building with a high color rendering index that facilitates better quality control (see before and after photos below). Thirty percent of the project cost was paid for by a grant from the Delaware Energy Efficiency Investment Fund. This fund was created to help Delaware businesses make strategic investments in capital equipment and facility upgrades that will help decrease operating costs, reduce energy consumption, and improve environmental performance. Unless it’s based on a comprehensive survey, a lighting retrofit can be filled with landmines that could boost the cost of the project and lengthen the payback. GreenTech auditors and engineers are trained to look for these problems and design projects that take them into account. Here are just a few examples. First, you need to know exactly what’s overhead, both on the ceiling and even above it. There may be cables, HVAC pipes, or other equipment reducing access to the lighting fixtures or there could be asbestos behind the ceiling tiles that needs to be remediated. You might also find unexpected surprises inside the light fixture itself. Based on its outward appearance, you might assume one type of ballast configuration only to find that it’s wired a completely different way once you open it up. Sometimes, the problem is not what’s overhead but what’s underneath. Take, for example, a plant where the owners have permanently installed heavy equipment on a large section of the floor – right below a whole row of high bay light fixtures. When the time comes to retrofit the plant, it will not be possible to drive a lift beneath those fixtures to retrofit or replace them. Short of hiring acrobats to climb across the ceiling, there would be no way to access them. One option might be a new lighting layout that calls for installing floods on the walls or other nearby vertical surfaces, like poles or pillars. 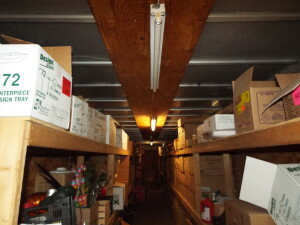 A similar problem could be created in a warehouse where the company has moved racks around over the years without regard to the existing high bays. Wherever the racks block the light fixtures, they simply disconnect them. That, together with the lumen depreciation of aging high bays, will eventually result in uneven, inadequate lighting throughout the facility. 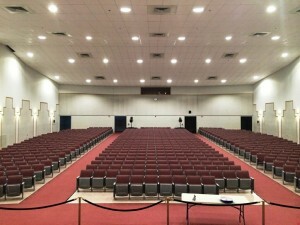 So a lighting retrofit would have to involve removing or relocating those fixtures before newer technology could be installed. 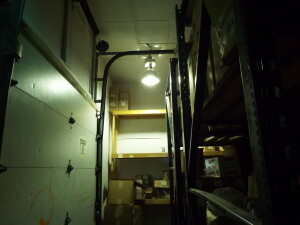 Another obstacle to reaching the lights could be the condition of the floor itself and whether it can support a lift. You could have an old building whose floors are delicately inlaid or decorated in some way that makes running a heavy lift over them unacceptable. In some cases, it might be possible to erect scaffolding to reach the ceiling, but this would obviously have an impact on the cost of the project. As with the other potential pitfalls mentioned above, the earlier you discover this, the more accurately you’ll be able to budget. When it comes to renovation, nobody likes surprises. Williamsport School District in Williamsport, PA, hired GreenTech Energy Services to do a lighting retrofit of four elementary schools, the high school, building exteriors and a garage. Fixtures with T12 fluorescent lamps and standard ballast were retrofit with T8 lamps and electronic low-power ballast. LED technology was used to replace incandescent, metal halide and high pressure sodium lighting. 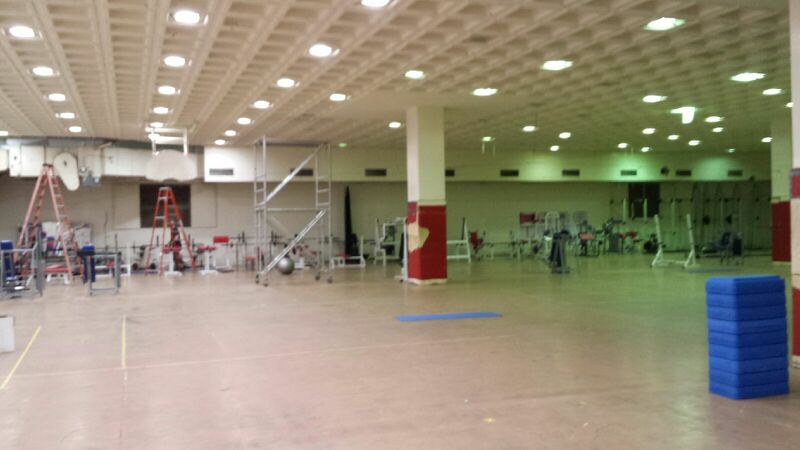 The photo below shows the high school sub-gym halfway through the retrofit. The existing 175-watt metal halide high bays (those casting a greenish glow on the right), were replaced by new 30-watt LEDs. Despite the fact that they consume less than one-fifth as much energy as the older lights, the LEDs shed a crisper, whiter light that eliminates shadows, enhancing aesthetics as well as safety. 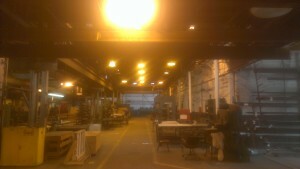 Appropriate lighting levels can affect how smoothly and efficiently a manufacturing plant is run. Poor lighting can have an adverse affect on safety, security, quality control and the bottom line. To understand light levels, it’s useful to start with a few definitions. Both lumens and footcandles measure the illuminating power of a light source (as opposed to how much energy they use or produce – that’s measured in watts). Lumen is a metric unit measuring the total amount of visible light emitted by a source – in other words, light as it is perceived by the human eye. For example, a 40-watt incandescent lamp emits between 380 and 406 lumens. In addition to the tasks taking place, lighting design should also take into account the age of the workers, how much activity takes place in a particular area, and the size of the objects being handled. Small objects with small labels may require 20 to 50 footcandles, while large items may require only 10 to 20. 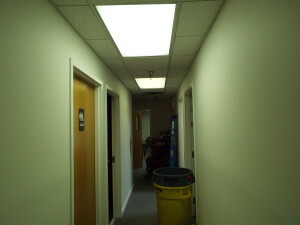 Another factor in setting light levels is the color of the walls and ceilings. Generally, dark colored walls and ceilings require more illumination than light-colored surfaces. 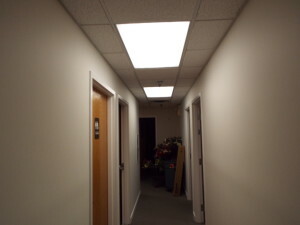 Light-colored, highly-reflective ceilings are better able to re-direct the percentage of light that is directed upwards by industrial fixtures. A good lighting design will take all these factors into account, creating an environment that’s comfortable for employees and allows them to accomplish their work safely and accurately. Eastern Sign Tech, a company specializing in hi-rise and stadium scoreboard signage, hired GreenTech to replace metal halides and incandescent lighting with new LED and fluorescent technology. The original goal was energy savings but an added benefit was greatly improved light levels. The dimming panel in the auditorium of Pitman High School in Pitman, NJ was an old piece of equipment that was no longer able to dim the house lights. Since it would have cost between $80-$90,000 just to change out the panel, the district decided that it made more sense to replace the lights and dimmer at the same time. So, along with installing a new dimmer, GreenTech replaced the 250-watt incandescent quartz cans and metal halide high bays on the ceiling with 56-watt LED lights, and the 75-watt incandescents in the wall sconces with 13-watt LED A-lamps. “Pop-On” – after being dimmed to a low light level and switched off, LEDs will sometimes not turn on until the dimmer is adjusted. Flickering – dimming LEDs may flicker or turn off with fluctuations in voltage. Changes in color when dimmed – most LEDs do not actually change color the way incandescents do, but they may appear to turn blue. 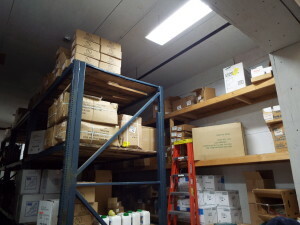 The LED market is changing quickly, and new versions are constantly being introduced that present fewer dimming problems. But for now, these issues can be largely avoided by determining beforehand whether a specific make and model of LED will perform as required when teamed up with a specific dimming system. The best way to make this determination is through observation – performing a mockup of the lights and dimming controls, and then testing over the full dimming range. On-site experimentation with multiple makes and models of LED luminaires may be the best way to find a product that will deliver the desired performance. If a mockup isn’t possible, it will help to use a combination of LED sources and dimmer that has proven successful in other recent applications. Colleagues and manufacturers’ representatives can be sources of reliable information. Be sure to ask for case studies that are no older than six months, and be aware of any production changes made to lamps and dimmers that may affect the dimming performance. Products are evolving so quickly that their technical specifications may actually change between the time they’re ordered and the time they reach the job site. 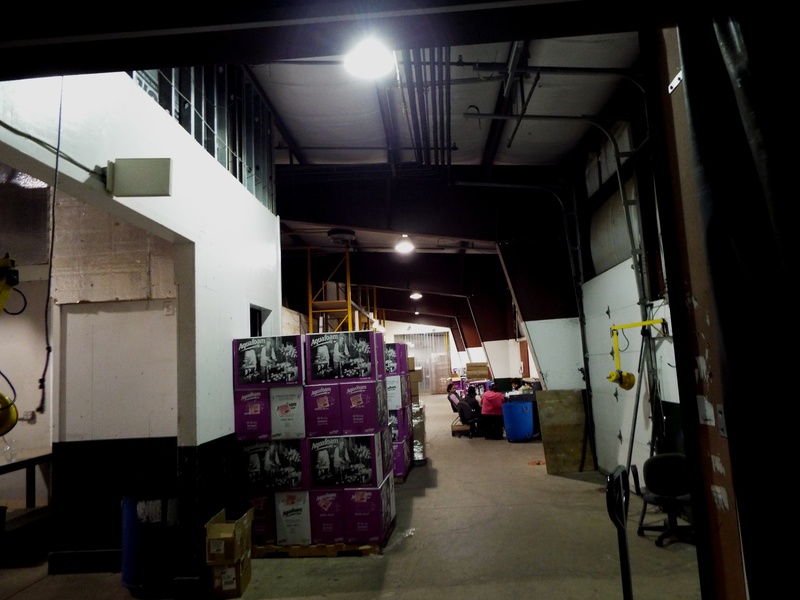 A laboratory supply and distribution company hired GreenTech Energy Services to upgrade the lighting in one of its East Coast warehouses. Inside, fixtures with T12 fluorescent lamps were retrofit with T8s; outside, high pressure sodium and metal halide floods, wall packs and shoeboxes were replaced by new LED fixtures. Eliminating the obsolete equipment significantly reduced maintenance costs, but utility bills before and after the retrofit proved energy savings as well. 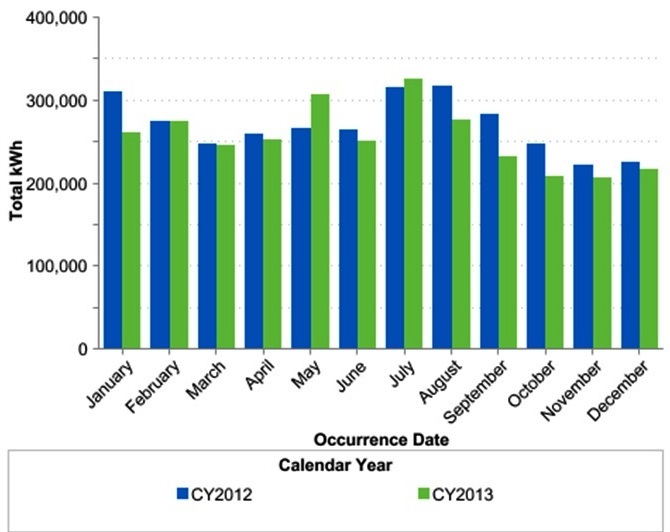 The graphs below compare kWh consumption before and after the retrofit. 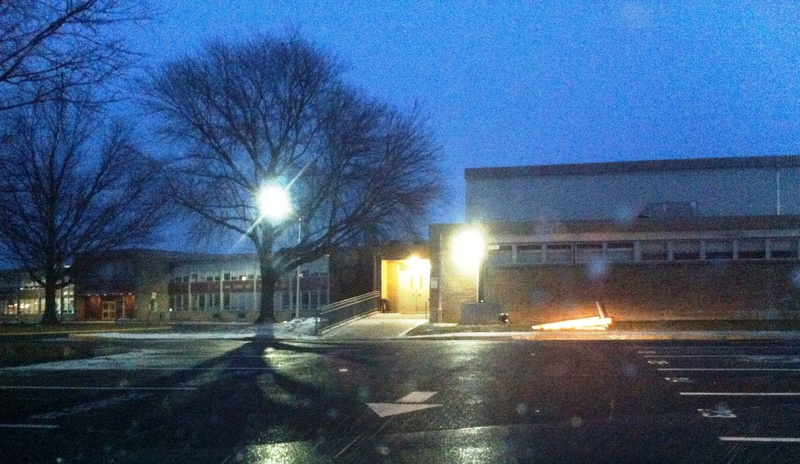 Safety on the School Yard: The Winslow Township School District in Winslow, NJ recently hired GreenTech Energy Services to upgrade the exterior lighting on the grounds of the high school, middle school, elementary schools and administration building. Obsolete high pressure sodium and incandescent lamps were replaced by LED technology, providing a significant reduction in utility costs as well as maintenance costs. According to Assistant Business Administrator Jack Mills, the school community is very pleased with the project. In fact, when the superintendent drove past the high school the first night after the new lights were installed, he reported that the grounds were “lit up like a Christmas tree.” These days, when safety and security is a primary concern on every schoolyard, this is just as much a benefit as the energy savings (which are listed below). Security on the Auto Dealership Lot: On average, car dealerships use up to 18% more energy annually than a typical commercial building. 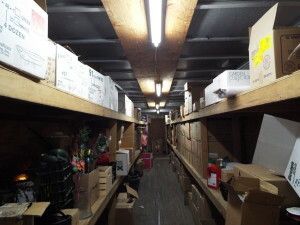 Up to 45% of that is typically due to lighting, since most of the “merchandise” is outside and must be lit up well into the night for both marketing and security purposes. 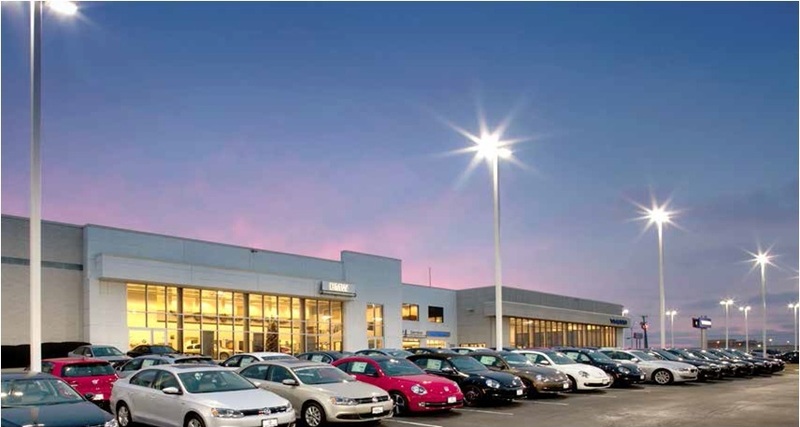 The metal halide and mercury vapor pole lights still found on most dealership lots are not only energy-hungry but after a while, they cast a dull, uneven light. 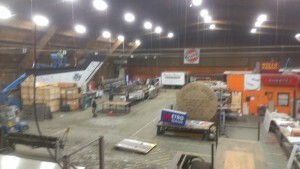 Plus, they need replacing every three years, and the cost of renting a bucket truck alone can run hundreds of dollars. 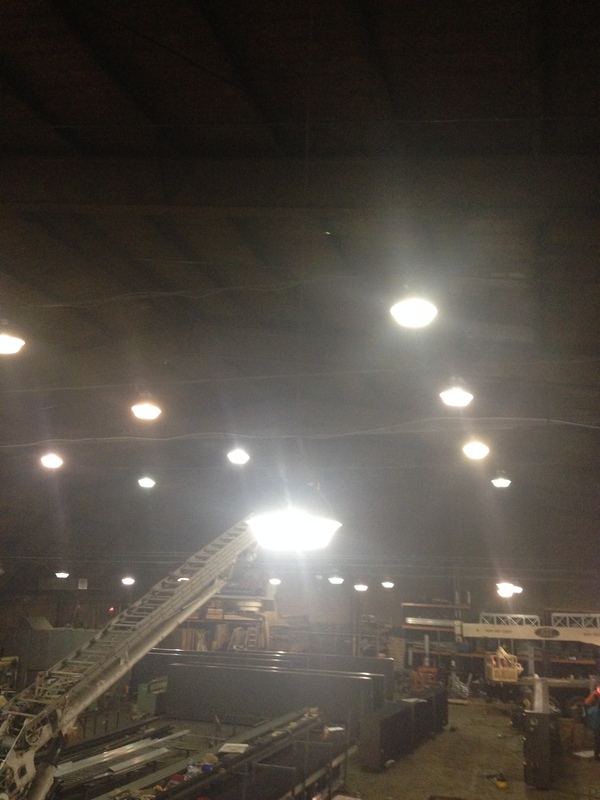 LED lights eliminate those maintenance costs for 17 years and use a fraction of the energy. Just as important, however, is that LEDs cast a crisp white light that brightens up every corner of the lot without generating light pollution. 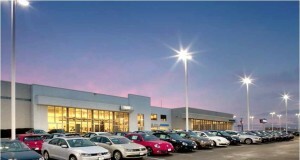 The security of the lots is significantly enhanced, and the cars shine in the crisp, bright light. Is lighting retrofit a DIY project? In addition, lighting professionals have relationships with manufacturers and distributors that ensure the best possible pricing on new products. They are familiar with all the energy efficiency incentive programs that can defray the cost of a project. And they know how to finance a project so that the payments are completely covered by the energy savings. When it comes to the installation, a professional lighting company will have the OHSA training required to assure the safety of both workers and building occupants. They know how to complete an installation without disrupting daily operations, and they are often able to do so in half the time it would take an in-house maintenance staff. So, while changing light bulbs may seem like a do-it-yourself project, a full-scale lighting retrofit is probably best left to the pros. GreenTech Energy Services participates in a New Jersey-based program called Direct Install, an equipment replacement program designed to reduce energy costs of small to mid-sized commercial, industrial and public facilities. 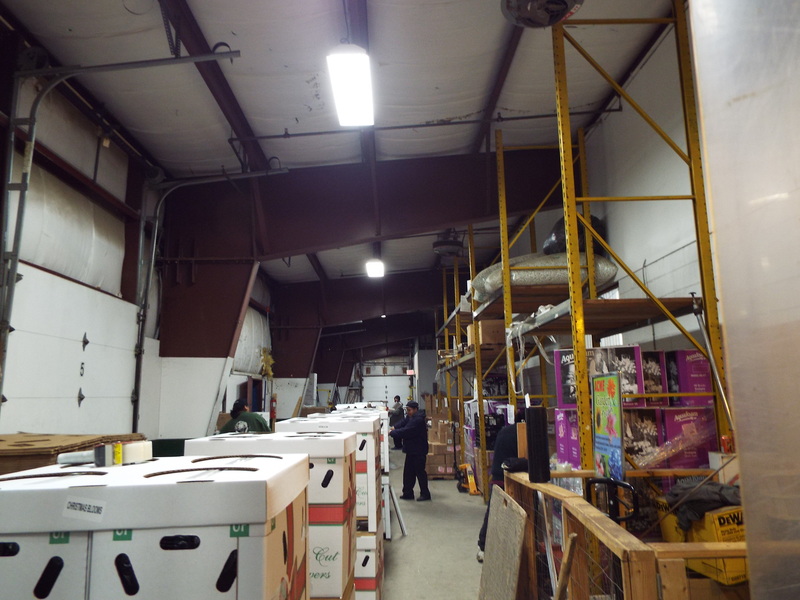 Under this program, GreenTech recently installed a lighting retrofit at World Class Flowers, a wholesale flower distributor in Egg Harbor, New Jersey. 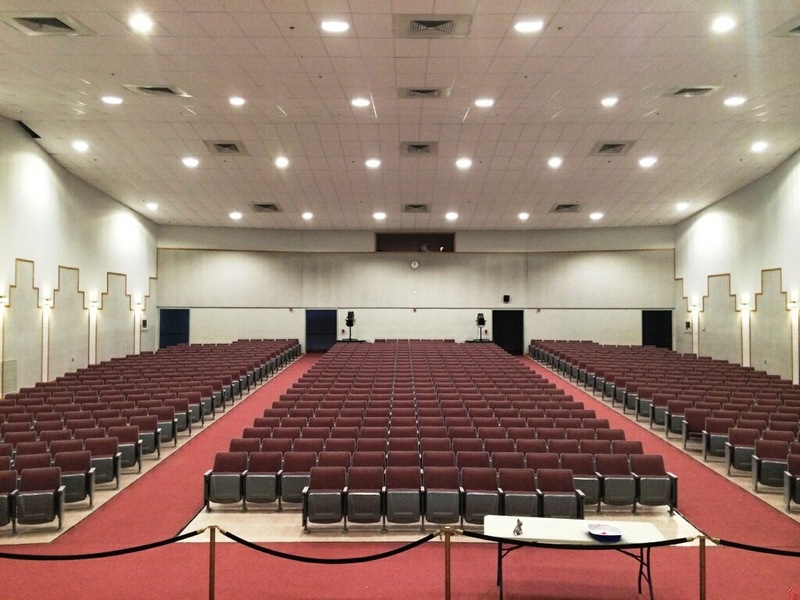 The measures implemented in this project included replacing 400-watt metal halide high bays with T8 fluorescent lights, retrofitting T12 fluorescents with T8’s, and replacing 60-watt incandescents with 12-watt LEDs. In addition to providing significant energy savings, the retrofit enhanced aesthetics throughout the facility and eliminated obsolete technology that is costly to maintain. Below are some before-and-after photos.